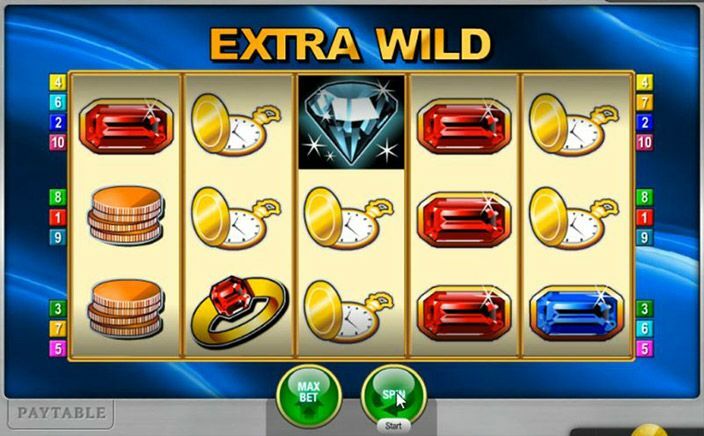 Extra Wild is a fun slot machine powered by the Merkur Gaming. The game has modern and sophisticated graphics which makes the game exciting to play. It comes with a decent RTP of 96%. Grab The Wilds With Extra Wild! Extra Wild is built with 5 reel and 3 rows. It also offers 10 fixed paylines to get a win. The background and the reels are very simple looking. Players need to spin reels and get a match of similar icons to achieve a win. The symbol brings the player prizes once they display symbols either left to right or right to left or in the middle on consecutive reels on the fixed paylines. The minimum bet and max bet is from £0.10 to £10.00. There are many high-value symbols which various depictions of the riches and luxury are. They are the gold rings, the diamonds, the rubies, sapphires and various other gems. Moreover, they also consist of heart-shaped lockets, the gold watches and a bag full of the gold coins. The golden safe door in the game act as the wild symbol for the slot and will act as a substitute for forming the winning combos while the game has no scatter symbol. The wild symbol will help in replacing many of other symbols to help in creating winning sequences. Though mere landing of it on the reels will offer the player instant payouts. It can also appear in any of the positions on the reel. Therefore, in all, it is the more valuable symbol. The slot boasts a Gamble feature and also provides the player to choose the type of side games which you like to play. After every winning spin, the player will be having a chance of either collecting the winnings or to gamble them. The gamble feature will offer the player the opportunity to increase their wins, but it should be used with caution. 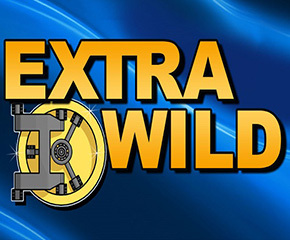 Extra Wild provides the players with the great chance to win big prizes. The simplistic setup provides an easy and fun gaming experience. The slot is accessible on all mobile devices and provides high volatility to players. The player can win a jackpot amount to 25 times of their stake from this slot game.